Two of the most-read posts on my blog are the ones relating to the Gear Shift Assist Pro (GSAP) system on the R1200GS which was launched earlier this year. Of note, the system was an industry first for road bikes with the ability to execute both upshifts and downshifts without using the clutch. However there was, and has been, little coverage by the mainstream motorcycle press. If you’ve read the posts above you’ll know I couldn’t be more pleased with the system, so eight months on I’m revisiting GSAP from a functional side, based on questions asked in a number of forums. 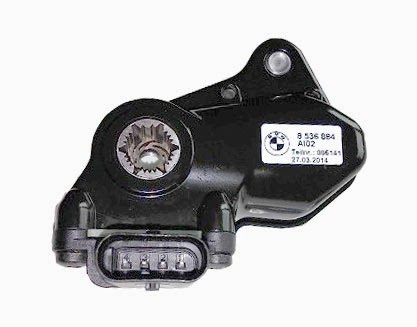 The device is simply a sensor with a linkage which replaces the standard linkage between the shifter and the shaft on the transmission. During an upshift the system senses the movement on the shifter and when it passes a threshold, cuts fuel injection for 50–100ms to relieve torque on the driveline and enable the next gear to engage. During a downshift, the system senses the movement on the shifter and when it passes a threshold, adds enough fuel to relieve driveline torque, then readjusts fuelling to match the rev of the next gear down, which occurs over 100–150ms—basically the same principle as double declutching squeezed into a timeframe of about 1/10 second, or two virtually instantaneous blips of the throttle. Unaffected—the system does not integrate with the clutch in any way. Subjectively, about 5–10% heavier than stock when shifting with the clutch—the geometry of the linkage/sensor is slightly different than the stock linkage which makes the shift action slightly heavier. The shift feel is about 50% heavier when using the GSAP system (without the clutch). Gear changes using the system must be executed in a deliberate and committed manner—no half-hearted attempts. Some people report that neutral is easier to find after the unit is installed due to this change in geometry (myself included). Exactly the same as stock but with a 5–10% heavier feel as mentioned above. When using the clutch the GSAP system is inactive. The GSAP system takes feedback from the microswitch in the clutch lever which also deactivates the cruise control and/or the starter motor. Upshifting requires the throttle to be open with the bike accelerating (even gentle acceleration). Downshifting requires the throttle to be fully closed with the bike decelerating. Any deviation from these two rules will result in a rough shift. Works in all gears on and off road once the bike is in motion—you must use the clutch as normal to move off and also when coming to a complete stop. Once you are accustomed to the operation of the system it is particularly handy when riding in conditions which require a higher number of gear changes—for example, in urban areas or twisty mountain roads. It took me about two miles worth of city riding to learn the system and have it executes shifts perfectly about 90% of the time. Eight months later, virtually 100% of shifts are executed perfectly within the parameters noted in the point above. Shifting from 1st to 2nd or downshifting from 2nd to 1st works as well as the other gears, but with experience you will get a feel about when it is appropriate to do this change using the system, due to the effectively higher engine braking/power while in such low gears. The R1200GS engine management cuts fuel flow during deceleration, but starts injecting fuel again in preparation for idle as the revs drop below approximately 2,250rpm. You can hear this on the bike as 1–2 slight pops from the exhaust. Downshifting using GSAP at or below that particular point will result in a rough shift. Most riders have ridden only manual bikes and it is very unnatural to keep the throttle open while executing a gear change. If you find the system rough on upshifts, it is nearly always due to an unconscious roll-on or roll-off of the throttle, even the slightest amount. It took months to retrain my brain not to move the throttle at all during upshifts which was resulting in the odd rough shift. Do you have anything to add to this list, or any other questions about the system? Let me know in the comments below.